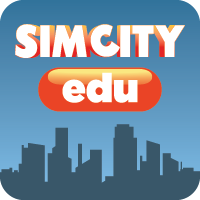 With SimCityEDU, educators have more than a just digital game. They have the tools and content they need to make learning come alive for their students. In the game, students play the role of mayor, doing the challenging work of addressing environmental impact while balancing the employment needs and the happiness of the city’s residents.SimCityEDU’s integration with Clever creates a streamlined single sign-on experience for students in grades 6-8 and their teachers. The integration links students and teachers.This game requires the student to download the game to a computer before using for the first time, requiring approximately 1GB of space.